WATCH: He May Sing Like An Angel, But Ed Sheeran's Impression Of Elton John Is Just So... Unique! We're about to list off just some of Ed Sheeran's incredible accomplishments to-date. *deep breath*. At 20-years-old, Ed independently released an EP. His debut album, '+', has been certified seven-times platinum. Ed has earned the Ivor Novello Award for Best Song Musically and Lyrically. He has also won four BRIT Awards, two GRAMMYs and five MTV Awards. And yet he still can't nail an Elton John impression. 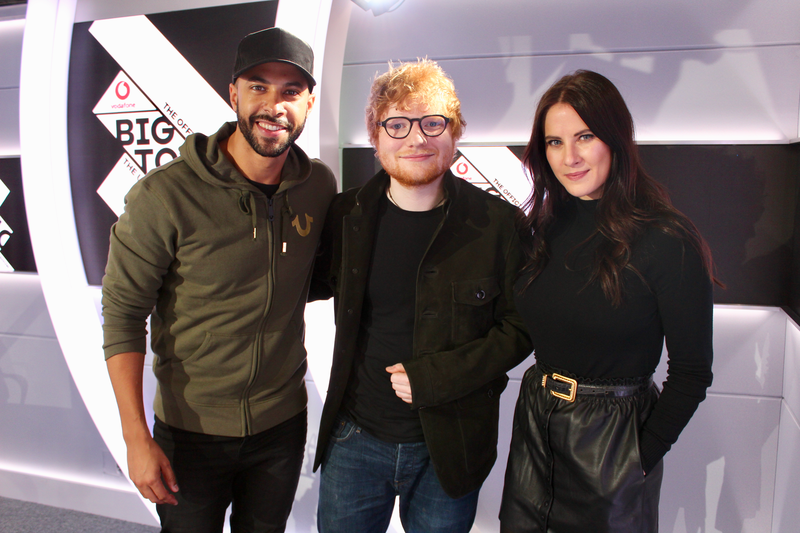 When the 'Shape Of You' singer swung by the Vodafone Big Top 40 to chat to Marvin Humes and Kat Shoob, people were begging for him to flash his Elton John impression, but it was anything but 'Perfect'. Seriously. See it to believe it. While he won't be starring as the 'Rocket Man' icon anytime soon - thankfully - he is appearing in his own movies very soon, as he told us. Having written the original soundtrack for the picture, he's going to star in it. Good. So that probably just means we'll have to add an Oscar to his long, long, long, long list of achievements. > Where Will Ed Reach On The Vodafone Big Top 40? Check Out The Chart Now! Calling all Ed Sheeran fans... Ed's about to flog his pre-owned cast. Would you buy it?